How does HUB Connect integrate with Thinkware? SwipeClock® integrates with Adaptasoft’s CyberPay Online Phoenix (CPO) through our API. 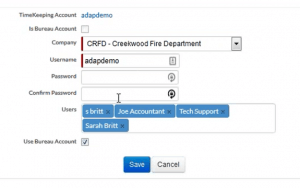 Employee information from within Adaptasoft is automatically pushed to SwipeClock® so the two systems stay in sync. 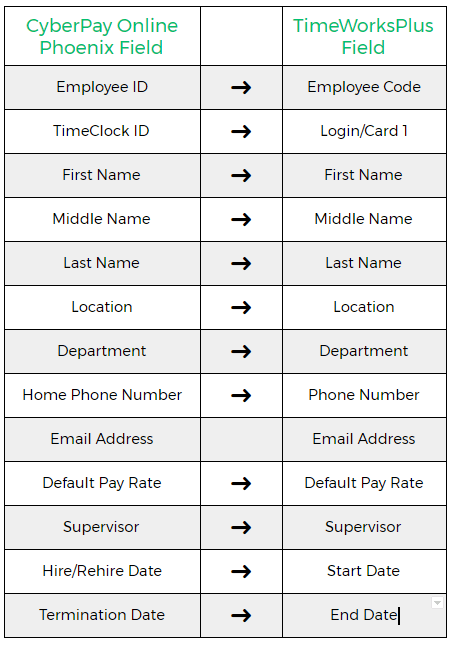 You can also import timecard data from SwipeClock through the integration. 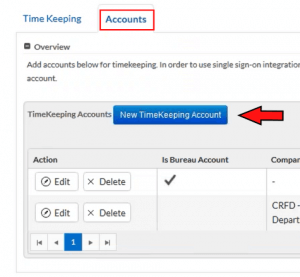 Please note that this integration is not designed to send employee information out of SwipeClock and into Adaptasoft, so Adaptasoft will need to be the primary system of record for employee data. 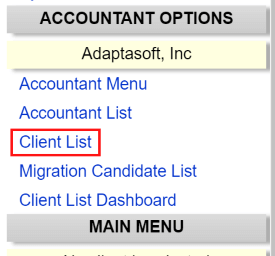 How do I Enable the Adaptasoft Integration? 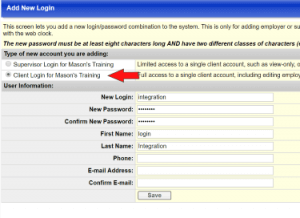 Create a Client level login for the sole purpose of the integration. (image 1) The login and password for this user will be entered in Adaptasoft later. No actual user will ever use these credentials, it simply facilitates the connection between the two systems. Once you have these items, you can continue with the integration process in CPO. Enter the SwipeClock Site Code and configure accordingly. For more details on these fields, see the KB article titled Adaptasoft Integration. Click Export Employees even if employee data is already in SwipeClock. This will establish the connection between the two systems. What Data Syncs between Adaptasoft and SwipeClock? Currently, the fields that sync between Adaptasoft and SwipeClock are listed in the screenshot above. Each field in Adaptasoft is listed along with its corresponding field within SwipeClock. Timekeeping data can be imported from SwipeClock through the Payroll tab in CPO Phoenix. Before performing the initial import, Pay Code Translation and Labor Mapping need to be setup in SwipeClock. Pay Code Translation is where Punch Categories in SwipeClock are mapped to earning codes in CPO. Labor Mapping is necessary if clock prompt data, like job codes or tips, is being collected in timekeeping and included in the export. 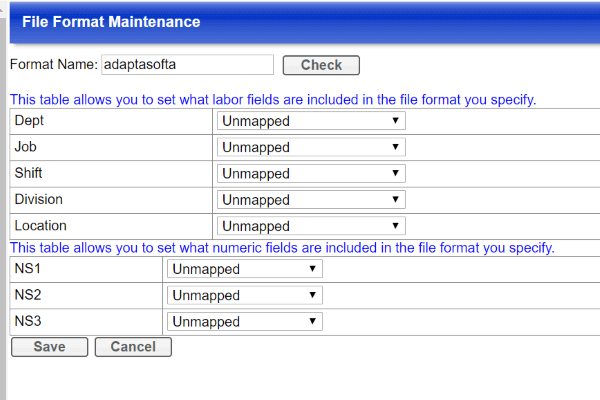 Labor Mapping is done in SwipeClock through the File Format Maintenance rule. You will need to enter “adaptasofta” as the selected File Format. 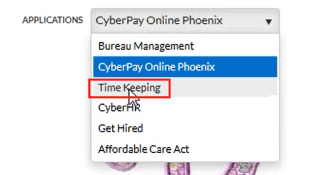 To view the employees within SwipeClock®, log into CyberPay Online Phoenix and choose TimeKeeping from the Applications dropdown. (image 8) The TimeKeeping tab will provide access to your SwipeClock account. Then click on “Employee Setup” from the left-hand column. Then, click on the name of an employee to view their information in more detail. You can then fill out any additional details within the SwipeClock® interface. Your client can access timekeeping in the same manner. Employees can also access the SwipeClock Employee Self Service portal through the Timekeeping tab in CPO. Adaptasoft Swipeclock CyberPay Timekeeping Tab. If you are an existing customer using this integration, please be aware that this integration is supported by Adaptasoft. For support regarding this integration, please contact Adaptasoft’s support team by email: support@adaptasoft.com.